Match Play 21 is a BlackJack Game that is quite similar to Spanish 21. However, this one has been developed by Real Time Gaming software provider. The idea behind the game is quite similar, but the rules are a little bit less complicated. That’s not to say that you can’t earn some generous bonus payouts, as you might be used to in Spanish 21. Those are still there and you’ll be able to earn one all the way up to 40 to 1 payout odds. Before getting into various aspects that are different, I just want to write down things that are similar to classic, standard BlackJack variations. Natural hand of 21 (BlackJack) pays at 3 to 2 odds. Dealer hits soft 17, but stands on hard. That’s about it regarding the common rules. Everything else is either slightly adjusted or quite massively, if I can use that phrase to refer to adjustments. On top of this, there also are several bonus payouts that can award, as mentioned in the introduction, a payout of up to 40 to 1 odds. As you can see, generous payouts won’t be a problem in this game. Even if you aren’t getting as many BlackJacks dealt, as you would like to, a payout at 40 to 1 odds can quickly change the pace of things. When it comes to Match Play 21, all RTG Casinos are a good fit. However, there are good and exceptional ones, I would obviously advise to stick with the last ones! 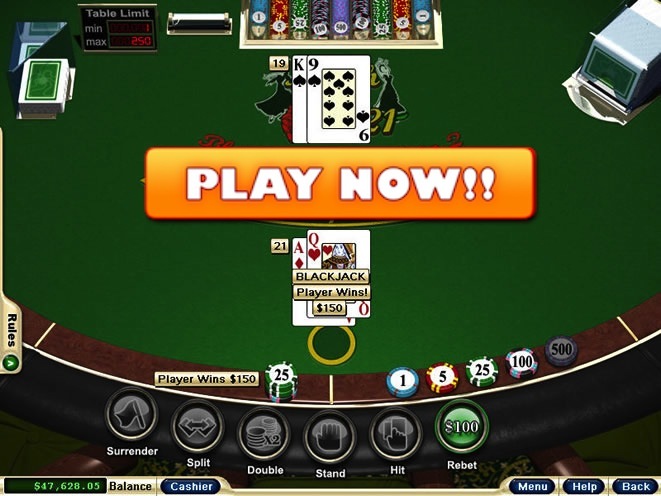 Remember that casino sites powered by this company accepts players worldwide – including USA! Lucky Nugget is premiere choice for accessing games from this software. You’ll be treated with constant promotions, take a part into their loyalty program and will be free to play either by using the downloadable client or instant flash casino! Likely the best part is their welcome bonus offer. You can claim up to $1000 welcome bonus. $/£/€ 1000 BJ Bonus – Claim Now!